Flowers are one of Nature’s most beautiful creations. 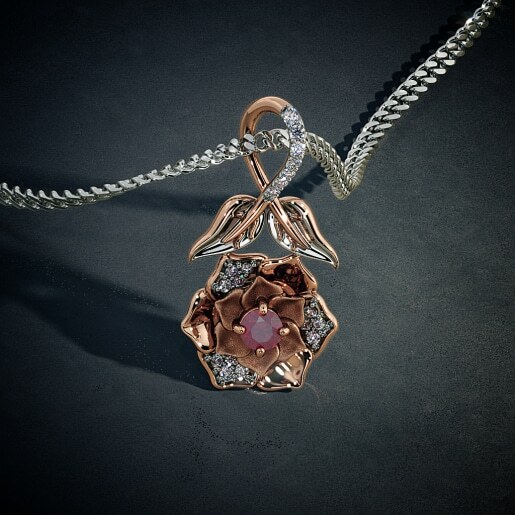 So, it isn’t surprising that flowers inspire jewellery designers to create some of the best floral pendants. 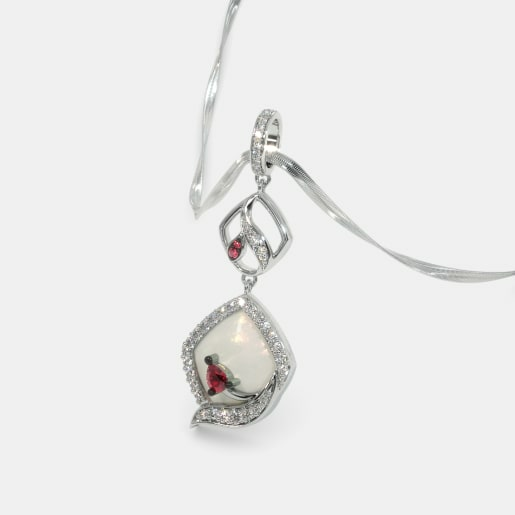 A pendant is something every woman treasures. It can turn a simple chain into something beautiful and make a statement. And the origins of this tiny trinket date back to prehistoric times. Back then, our ancestors crafted pendants from shells, teeth or bones. As time passed, they were replaced by beads, colourful stones, and eventually the yellow metal. The style of pendants may have changed. 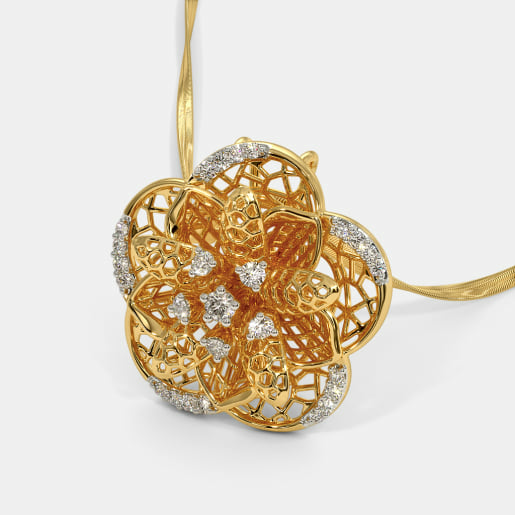 However, flowers have remained one of the popular motifs of pendant makers throughout history. 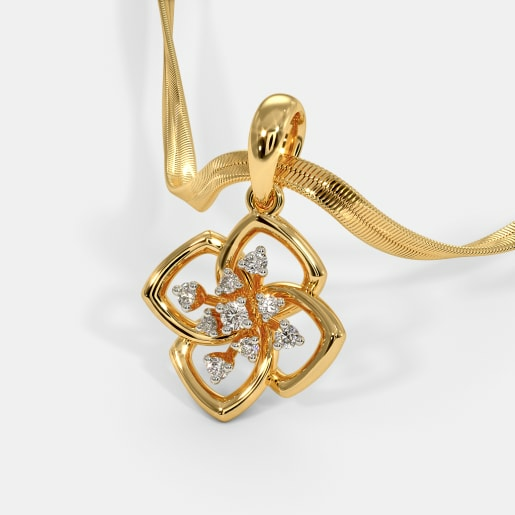 At BlueStone, we pay tribute to the ever-blooming floral theme with an exquisite range of floral pendants. Every piece of jewellery a woman wears says something about her. 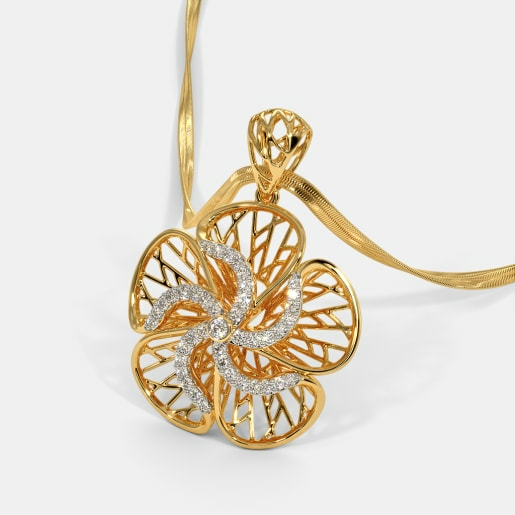 When you buy floral pendants designs, it isn’t enough for the design to be beautiful. It must also match the wearer’s personality and jewellery preferences. 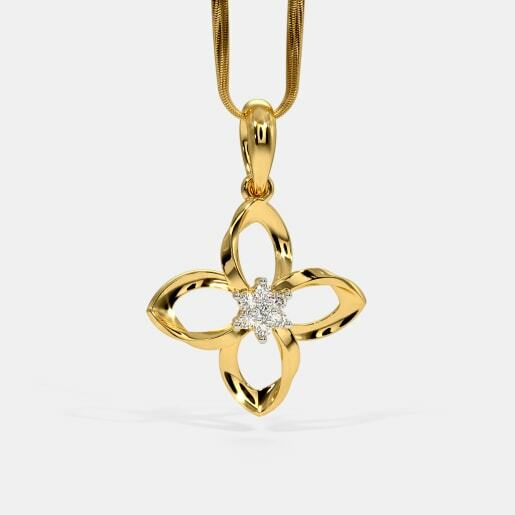 Delicate designs like the Playful Flora Pendant and the Livana Pendant are ideal for women who like simple and subtle designs. Designs like the Anishi Pendant and the Solar Plexus Chakra Pendant speak of a woman’s fine tastes in jewellery. The Recee Pendant and the Ursula Pendant are symbolic of more modern tastes. The good news is that our designers are committed to creating designs that suit your preferences. So, take time and explore the collection now. 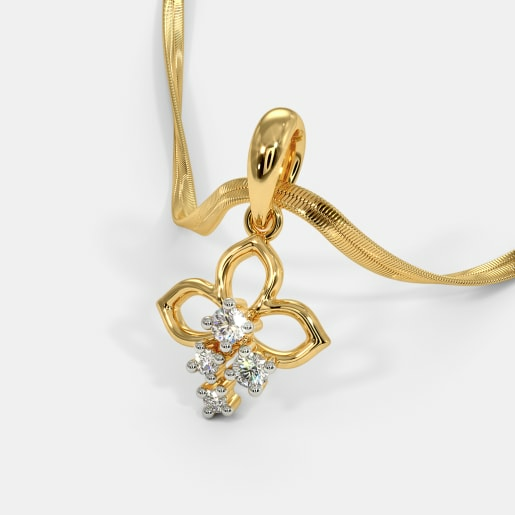 How to Choose a Colourful Floral Pendant? A garden of flowers has multiple colours. So, why shouldn’t your jewellery be colourful as well? Enameling parts of the design can add a splash of colour to any pendant. 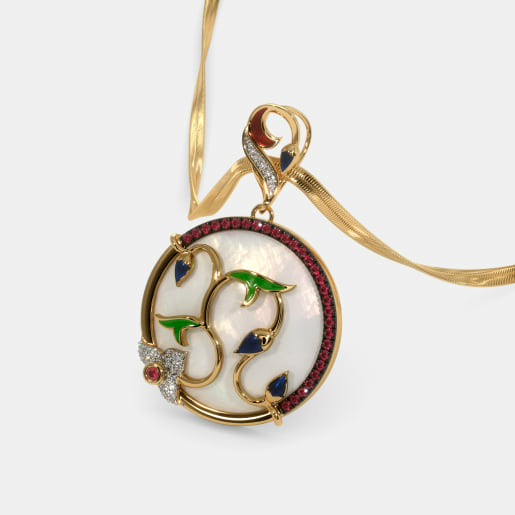 The Lotus Maiden Pendant and the Fiery Passion Pendant are two of our bestselling enameled designs. You can also add a splash of colour to your attire by choosing a gemstone pendant. 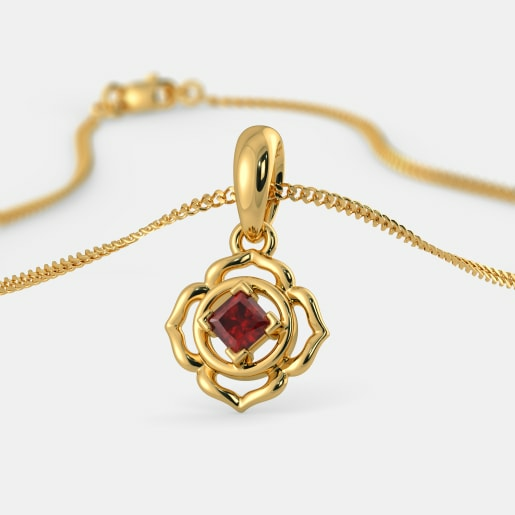 The deep red colour of a princess cut garnet makes the Root Chakra Pendant stand out. Similarly, the multi coloured tourmaline stones play an important role in making the Fiorel Pendant special. When it comes to gemstones, diamonds are always a favourite. 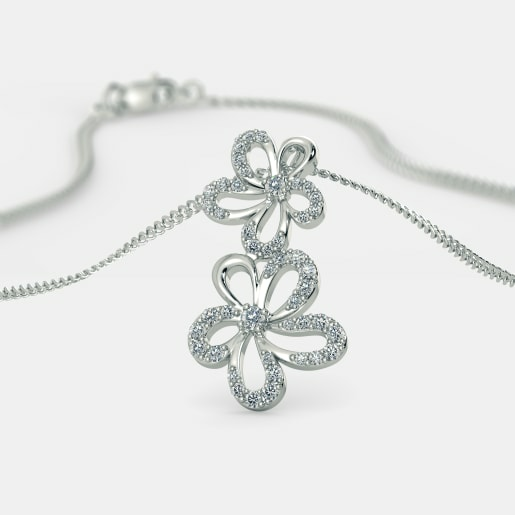 A number of our new designs in floral pendants are studded with diamonds. This includes designs like the Caribou Pendant, the Beatitude Pendant, and the Angelic Floweret Pendant. There is a third way to add colour to the jewellery you wear – by choosing the colour of gold. Gold is not always yellow. It can also be white or pink. Pure gold is yellow but this is too soft to be moulded into jewellery. Hence, it must be alloyed with other metals. When pure gold is alloyed with copper or zinc, it retains its yellow lustre. 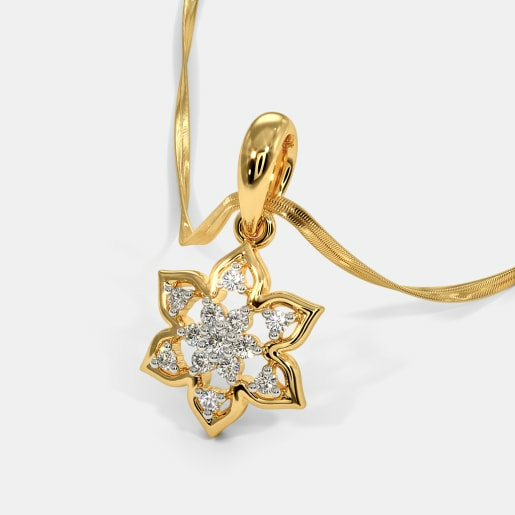 The Heavenly Sunflower Pendant and the Rasal Pendant are beautiful examples of floral pendants in gold. White gold is formed when gold is alloyed with nickel or zinc. This can be seen in the Mirth Pendant and the Amber Pendant. 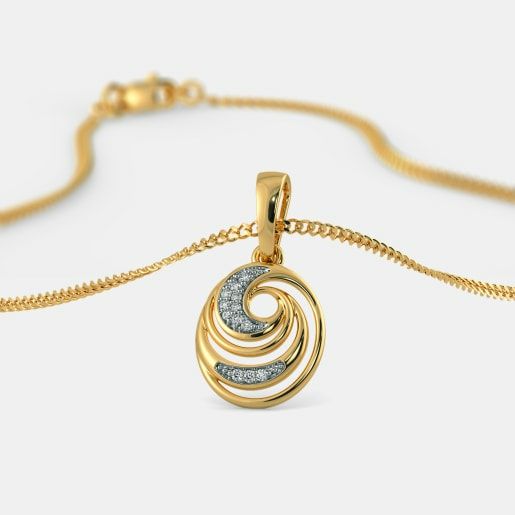 Some pendants may appear to have both yellow and white gold. The Diane Pendant and the Deandrea Pendant are two such pendants. 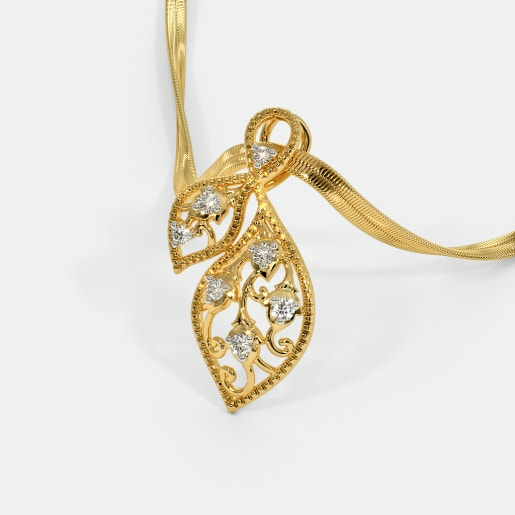 In most cases, the pendant is crafted from gold with parts of the design rhodium plated to appear white. Pink gold or rose gold is the third colour popular with jewellery designers. 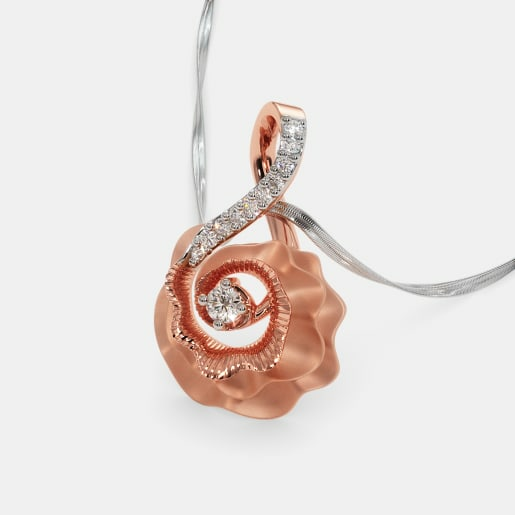 This can be admired in designs like the Floral Wave Pendant and the Delicate Dahlia Pendant. Like clothes, some jewellery can be worn at any time. Some others are reserved for special occasions. Light weight designs like the Preen Petiole Pendant or the Cacy Pendant are intended for casual wear. These designs complement ethnic wear or western wear. Pendants don’t just look good with an outfit they can even make the outfit look better than it is. 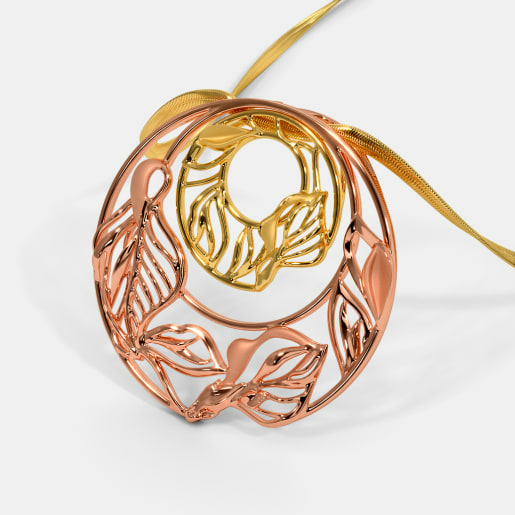 The Jolie Pendant and the Calynda Pendant are two such designs. They are subtle, yet show stopping. On the other hand, not all designs are shy about making a statement. The boldness of the Julia Pendant and the Govindini Pendant can make you the star of a party. For a young girl, her mother is the most influential style figure. Along with her mother’s shoes, young girls also love trying on their mother’s jewellery. For this reason, a girl’s first pendant is always special. Every young girl loves flowers. 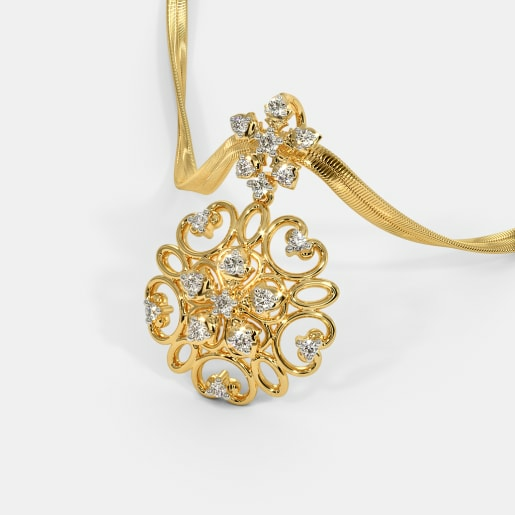 Hence some designs from our floral pendants collection cater specially to the tastes of a child. The Flower of Innocence Pendant for Kids is one of our most popular designs. So is the Angelic Flower Pendant for Kids. 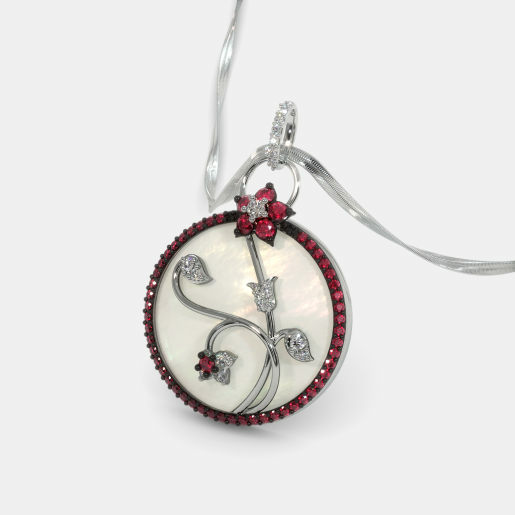 If you prefer an enameled design, choose the Floral Princess Pendant for Kids. 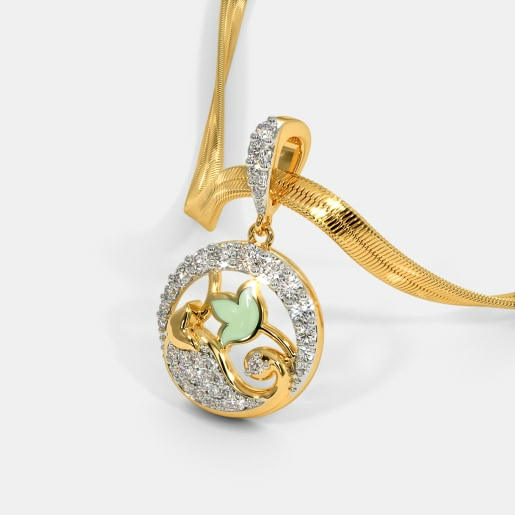 The Floral Joy Pendant for Kids is another design you could consider from our colourful collection. How to Buy Floral Pendants? 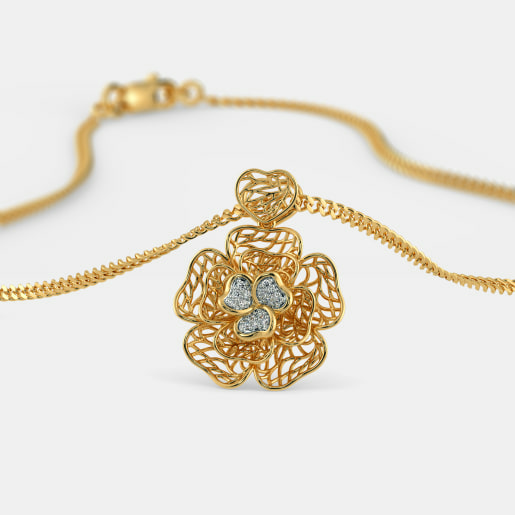 Today, it is easy to buy trendy floral pendants online. At Bluestone, we offer you over a hundred designs to choose from. We cater to almost every budget and style. In addition, you can also customise a design to make it fit your budget. 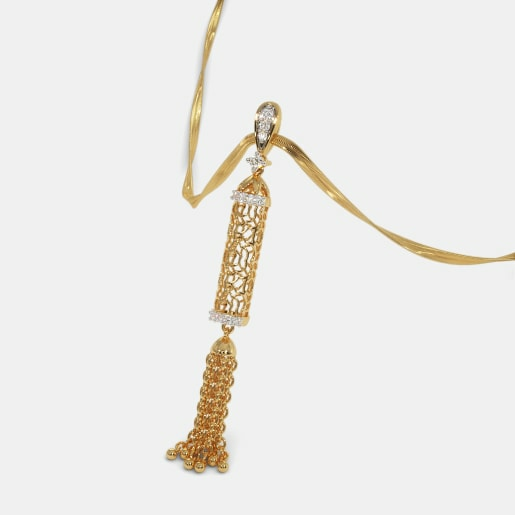 Consider the Mena Pendant as an example. You may love the design but the price may be a little over your budget. 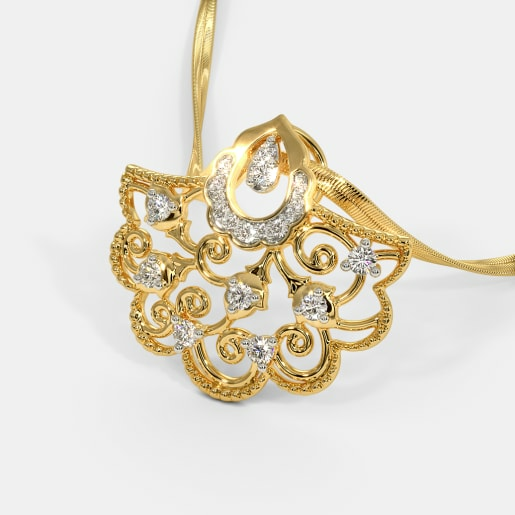 This design is made in 22kt gold. 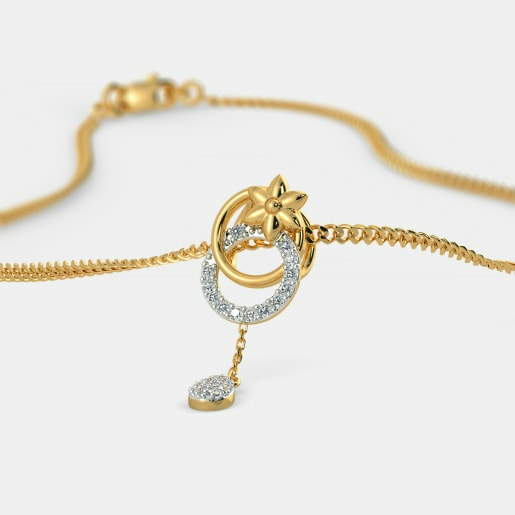 However, you can get it made in 18kt or 14kt gold to reduce the price considerably. 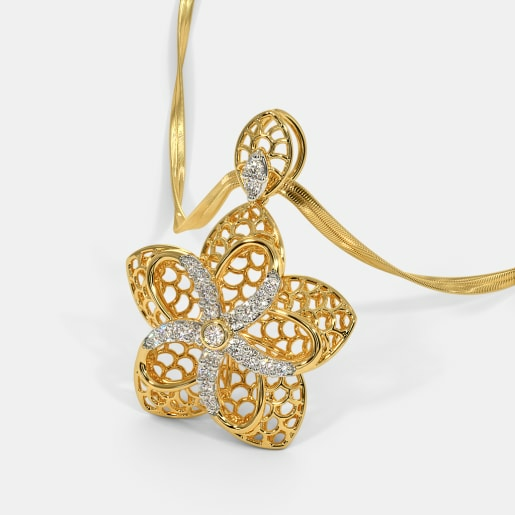 So, don’t stop yourself from owning a beautiful design only because of the floral pendants price tag. When customising a design, you can also choose the colour of gold. For example, the Kathryn Pendant can be made in gold or white gold. The cut and clarity of diamonds can also be customised. That’s not all! We understand that it isn’t enough for a pendant to look beautiful in pictures. It must also complement the skin tone and body type of a woman. Hence, we offer buyers an opportunity to try on a few designs before they buy them. So, what more do you need to buy your floral pendant today?